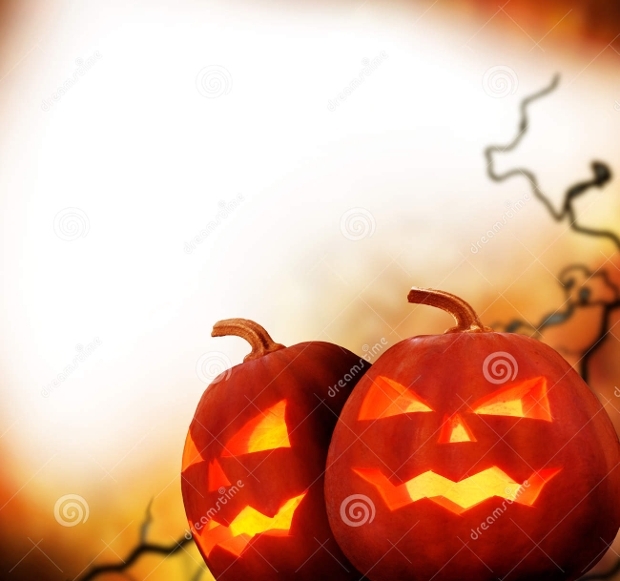 Halloween is just knocking on the doors and if you aren’t still ready with some makeovers, here are some great ideas to spook up your indoors and outdoors in no time! 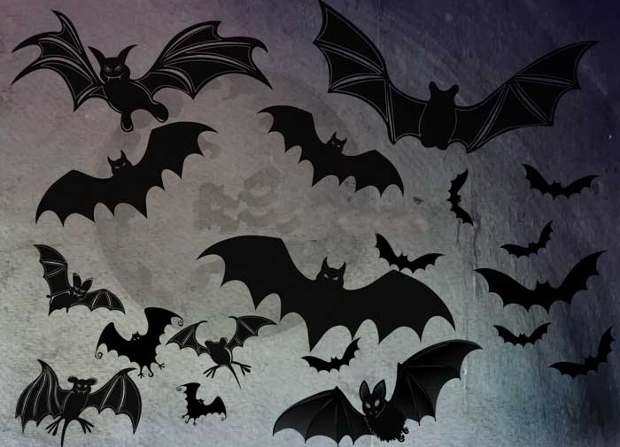 From bat napkins to light up pumpkins, there are a lot of DIY things that can keep you busy this weekend. 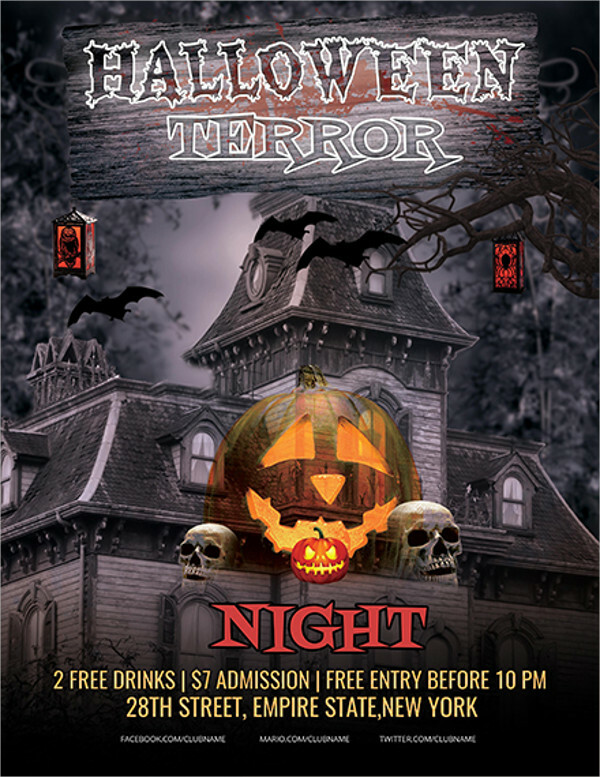 However, when it comes to announcing the event at your home, the best way to go about it is to put up a scary Halloween banner / flyer at your door! 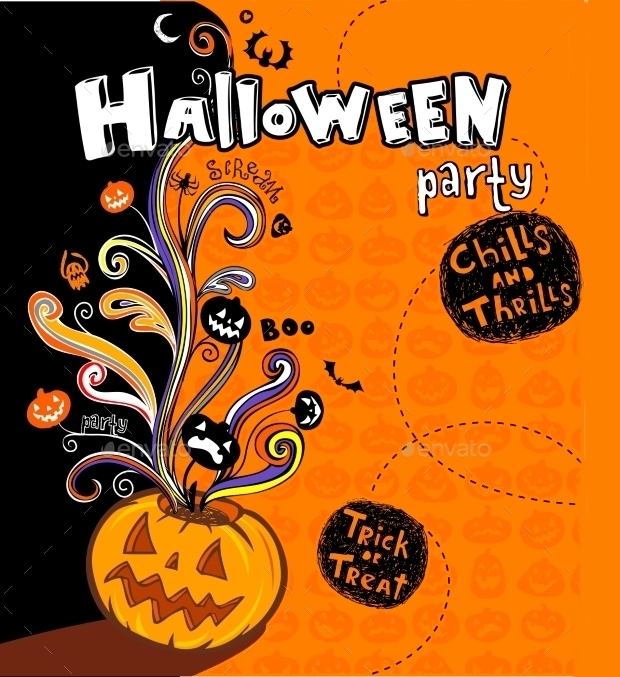 Well, here are some designs that can suit a range of applications and can impress party guests and trick-or-treaters alike! The bigger it is, the scarier it gets. 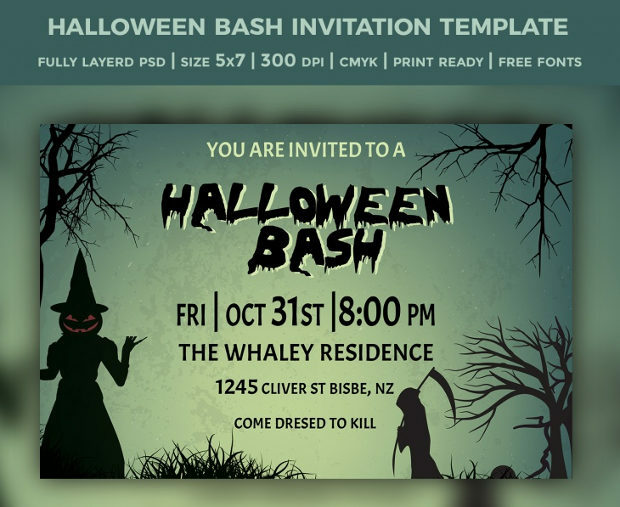 Flyers have always been incredible way to mark the Halloween celebrations and here are some really spooky designs to match your need for content. 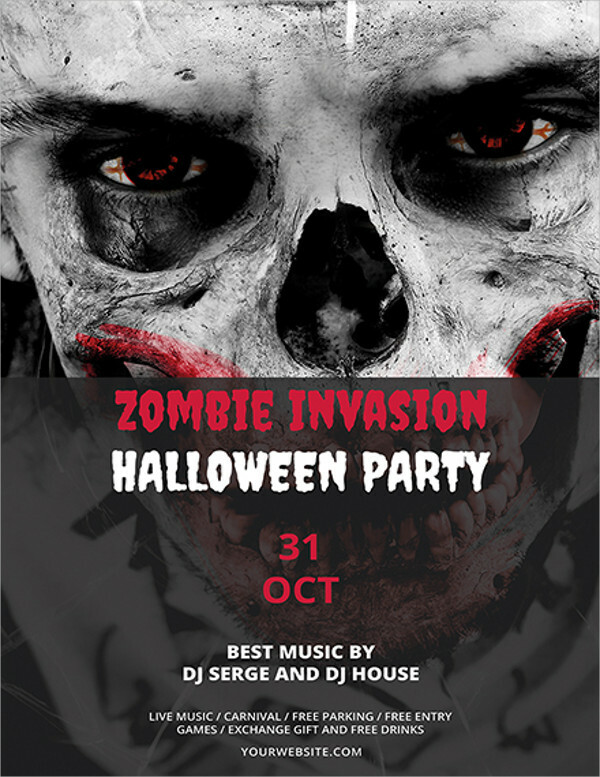 Available as high resolution JPEGs, this flyer design can be blown up to any extent and used by anyone – be it a private party or a big gathering. 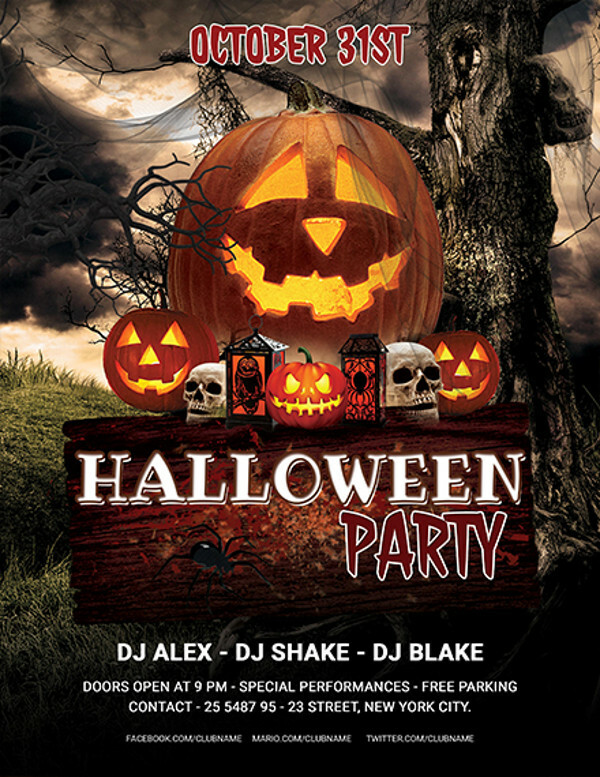 Are you looking to make the most out of the Halloween fever this year? Here are some brochure designs that are perfectly representative of the event and also provide enough space to market your products and services. Get in the mood to make a more personal connection! 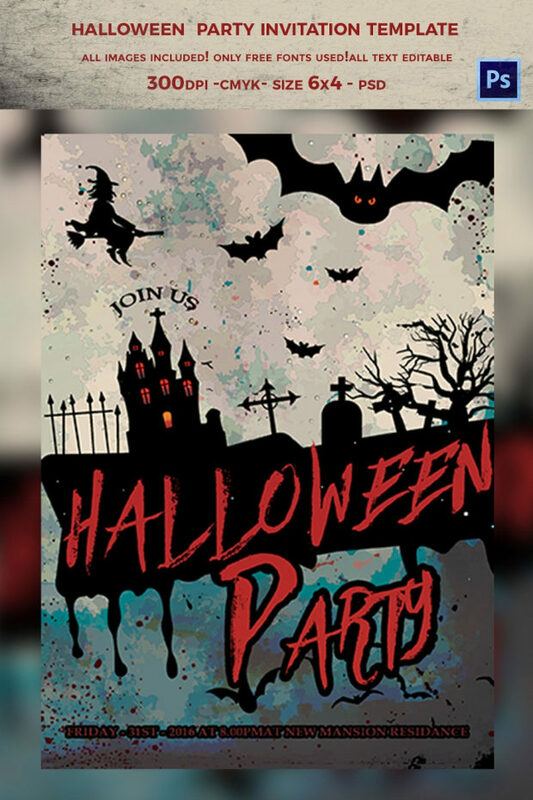 Hosting a party or get-together this Halloween? 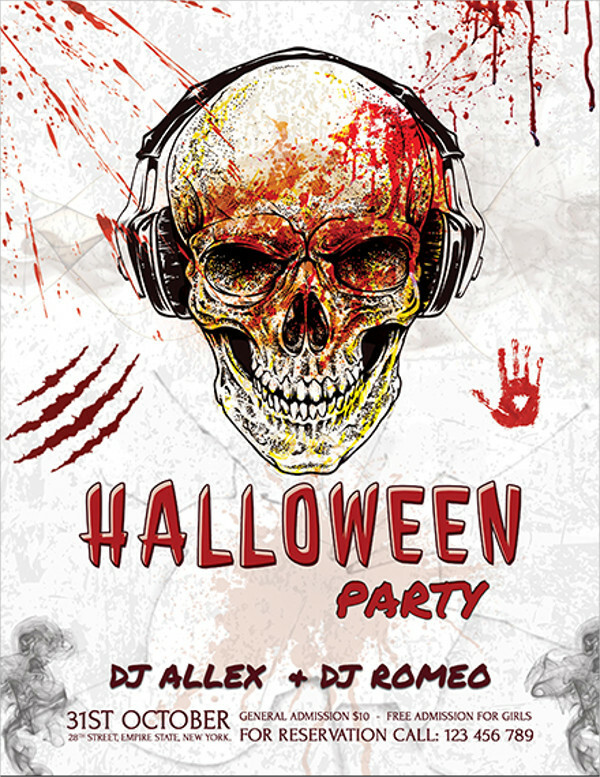 Let the world know with these amazing Halloween themed posters. The designs are both fun and spooky. 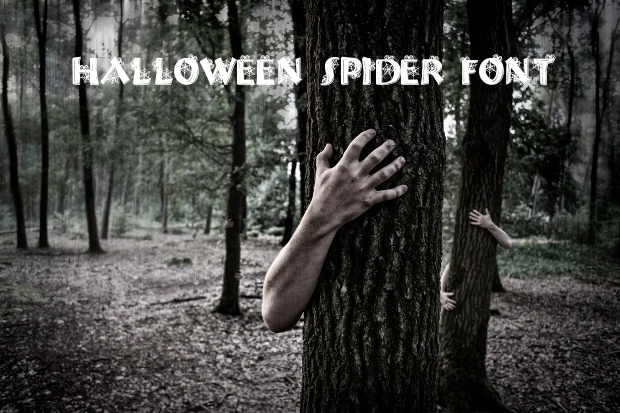 Organizing a get-together this Halloween? 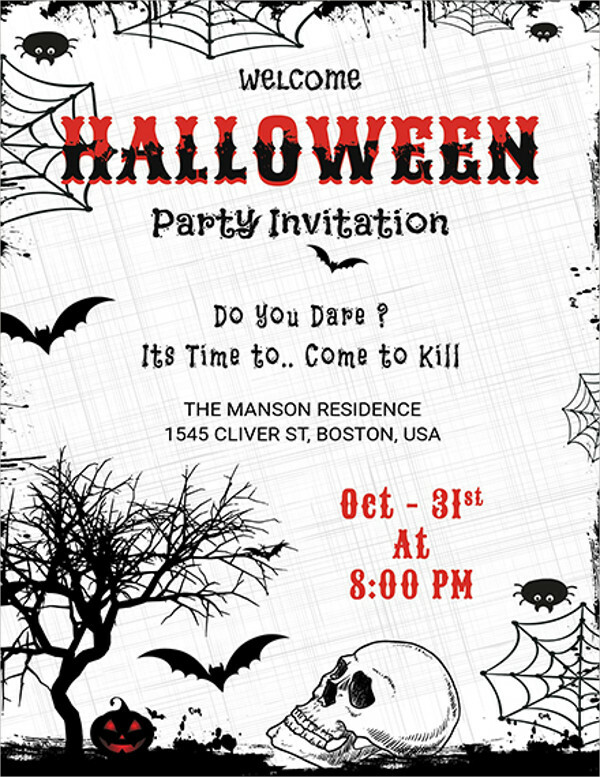 Send an invitation that is really creepy and fun and elaborates the fun you have in mind. 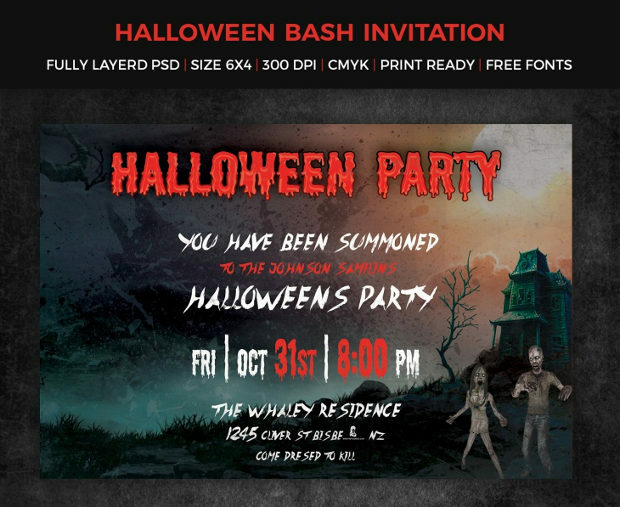 The invitation designs come in high resolution vectors and can be put into all kinds of applications. 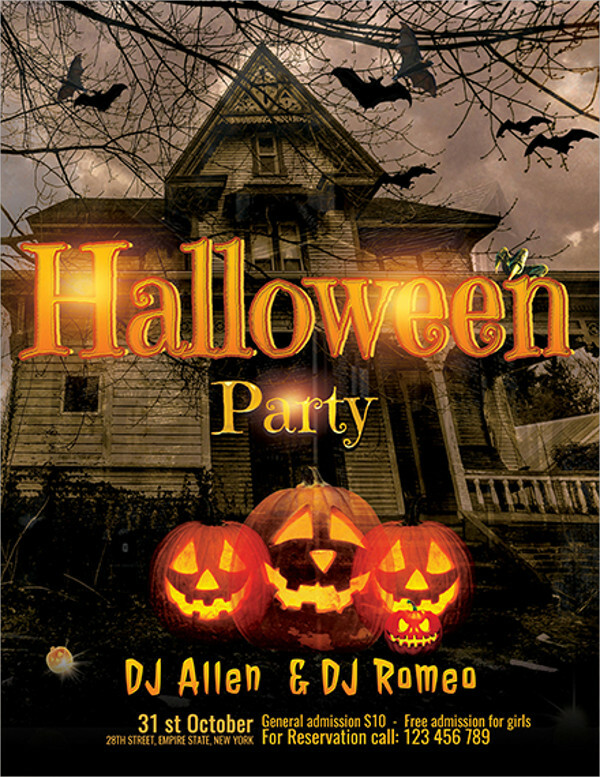 Get your social media page in the Halloween spirit with the suitable Halloween social cover page. Incorporating different styles, these covers are suitable for both personal and business accounts in the social media. 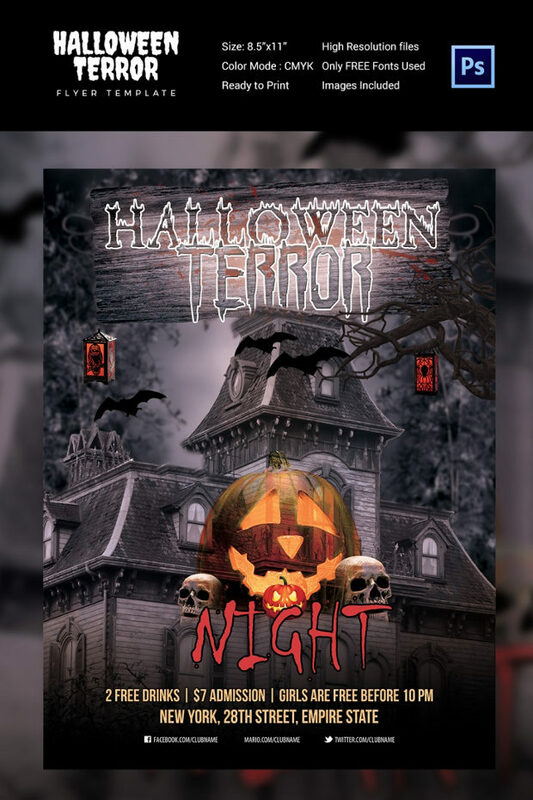 These cover pages will allow everyone to create a scary ambience that is ideal for Halloween season. 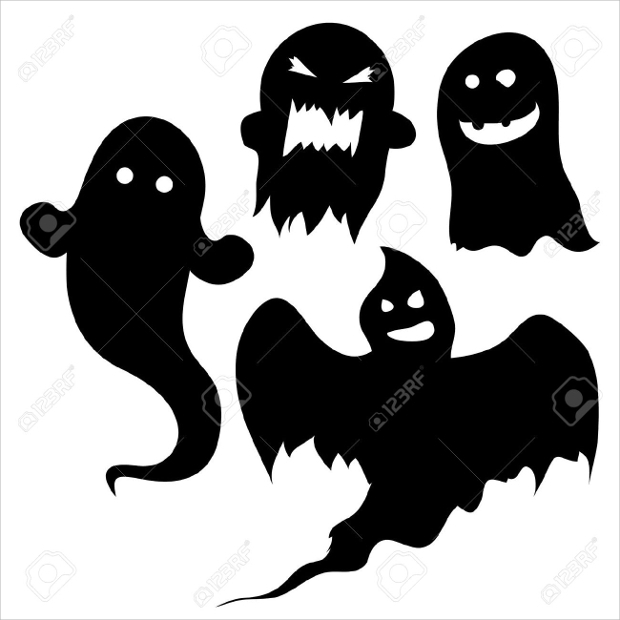 For some, spooky is fun! 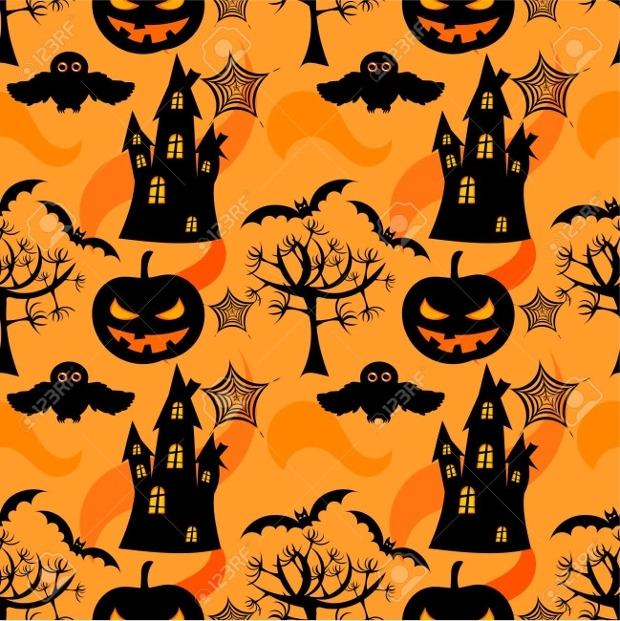 Well, if you are up for the challenge, try putting these Halloween wallpapers across your house! Just make sure you don’t get too scared in the middle of the night after the celebrations! 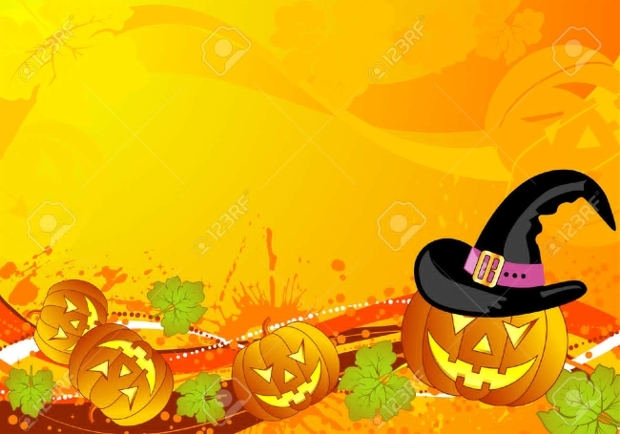 Come the Halloween celebrations, and every brand would be looking for a customized look of their website and all promotional materials. Well, here is some exciting representative pattern that would fit perfectly with your design work. Use these as website backgrounds or as brochure watermarks! 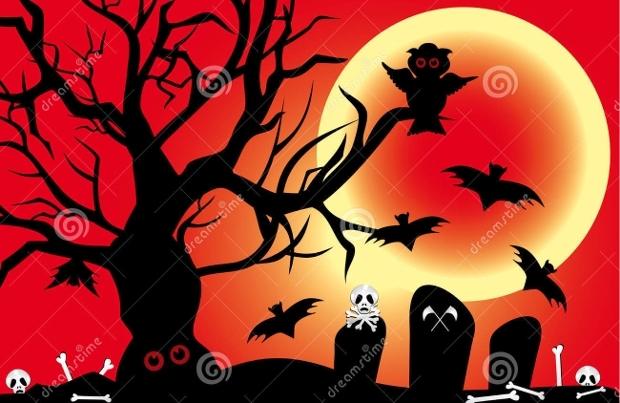 Sending someone a mystery card this Halloween? Use this illustration to scare off the receiver! The illustrations here are really rugged and spooky and caught unaware, will surely, raise some hairs! 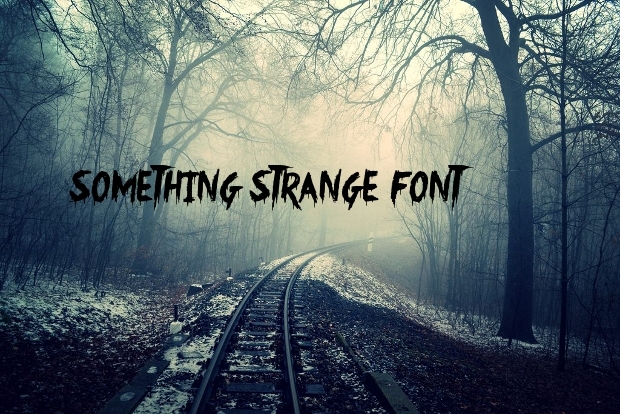 For graphic designers, Halloween is the time of the year when they would be scourging the internet for spooky fonts. Well, don’t look ahead! 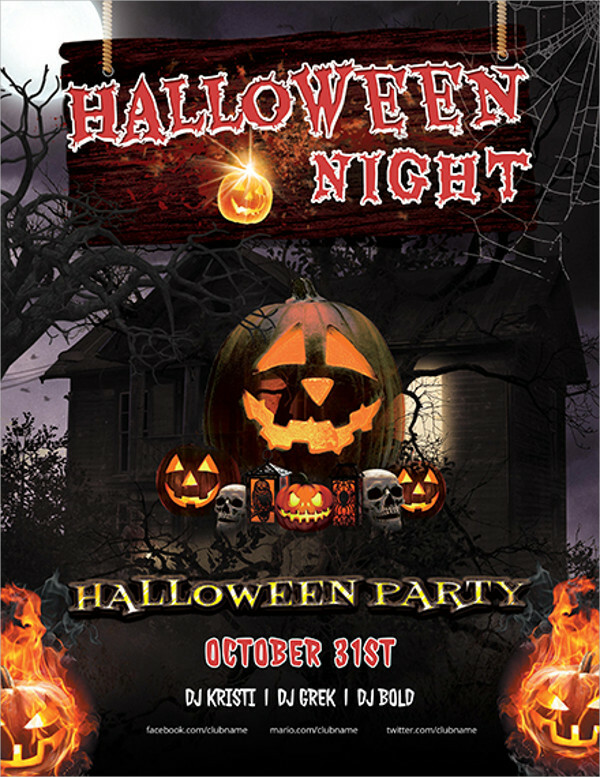 This would be the most unique collection of Halloween fonts that can be put across all kinds of materials, be it t-shirts or Halloween flyers. 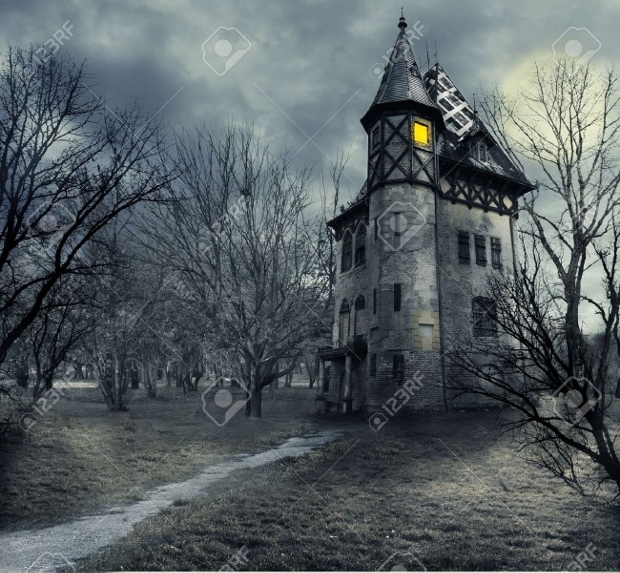 Looking for a complete makeover of your home this Halloween? 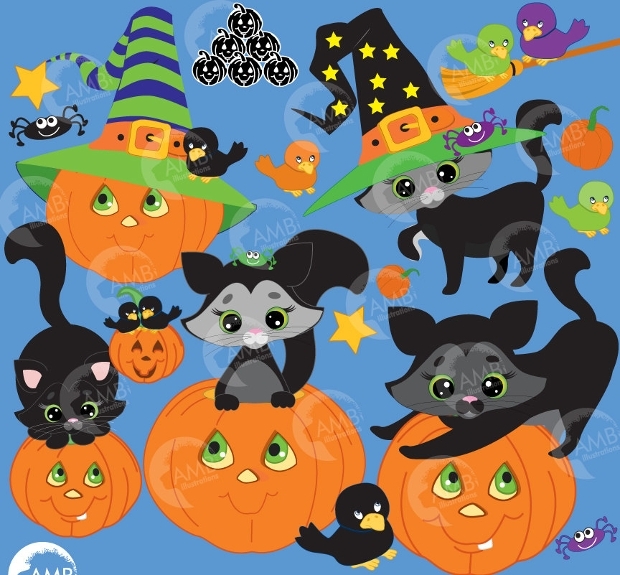 Why not invest in some really cute and colorful Halloween textures that can be imprinted on all kinds of materials – ranging from textiles to wallpaper. 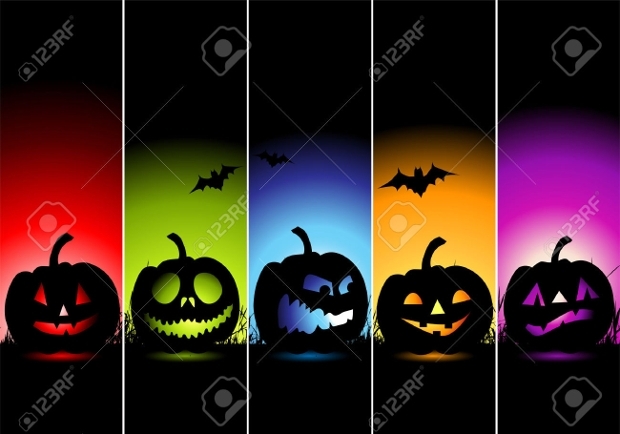 This would be a priceless repository for all graphic designers, especially when the Halloween celebrations near. 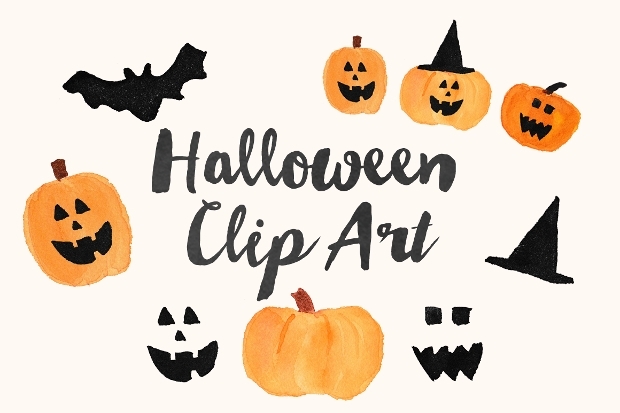 The collection holds a wide collection of Halloween themed clipart that range from funny to scary. 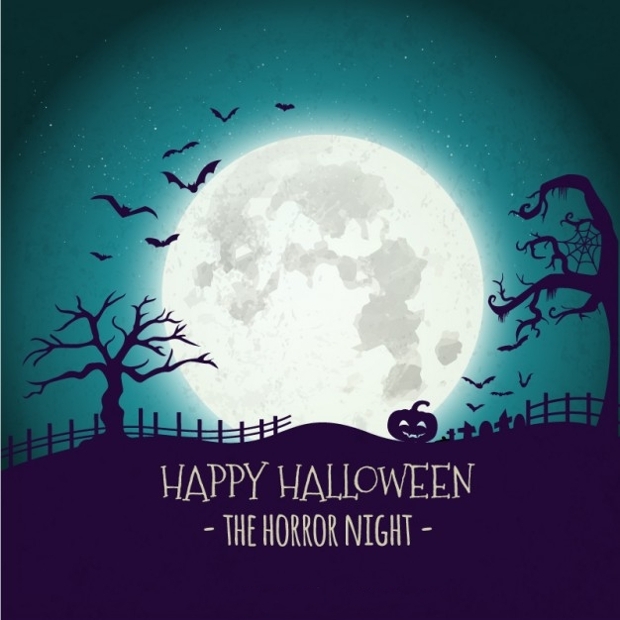 A perfect way to create a Halloween themed poster or website background, these silhouette designs integrates everything from scarecrows to spooky trees and ghosts. 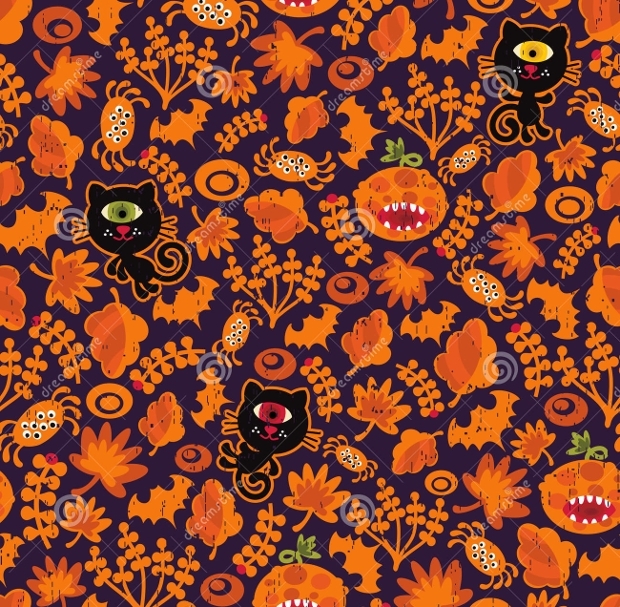 We bet that you find the perfect background for your Halloween material here! Nothing better speaks of a Halloween get-together than a big Halloween banner. 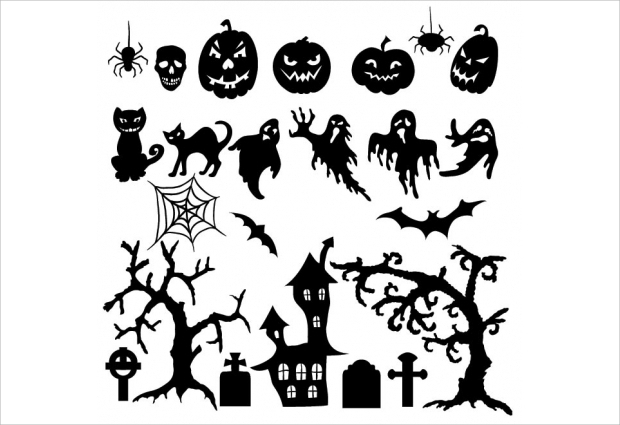 Well, with these designs, you will not have to worry about finding the best one suited for your banner this Halloween. The designs are offered in the highest resolutions and come with details that are scary! 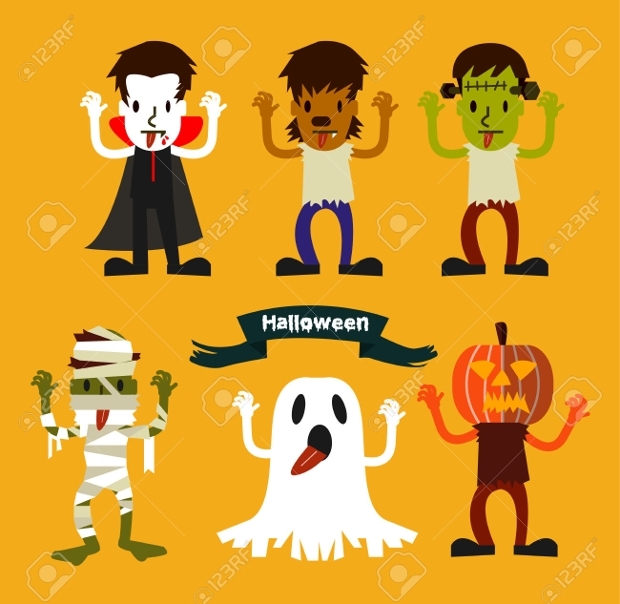 Have you been looking for the best Halloween vectors to be used in your unique Halloween graphic design material this season? Well, we have some really fresh designs and illustrations in high-quality vectors that should suit the purpose. 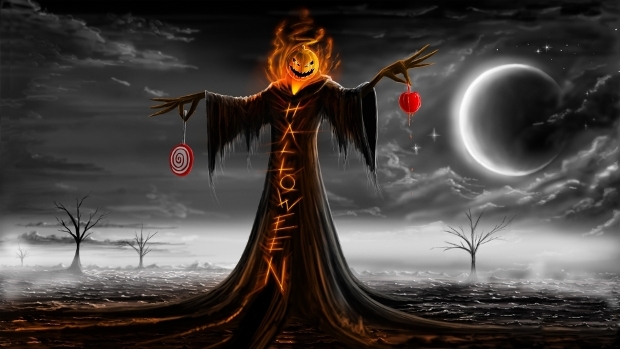 Have you been working on a product line / brand that caters to the Halloween stationary and buy? Well, we have some awesome logos that can be the face of your brand. Put them up in your website and attach them to your products and see the swell in demand! Photographs speak a thousand words but how about revealing a ghost living among the common men! 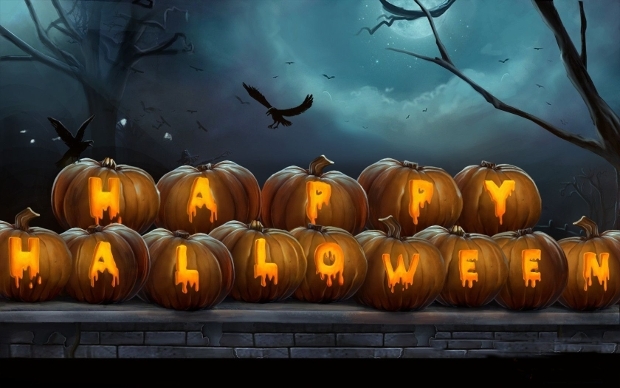 This Halloween, get your scare unique with these amazingly creative Halloween photography designs. Look close to know more! Now, here would be something that every Photoshop artist would highly value, especially that the Halloween season is already knocking on the doors. 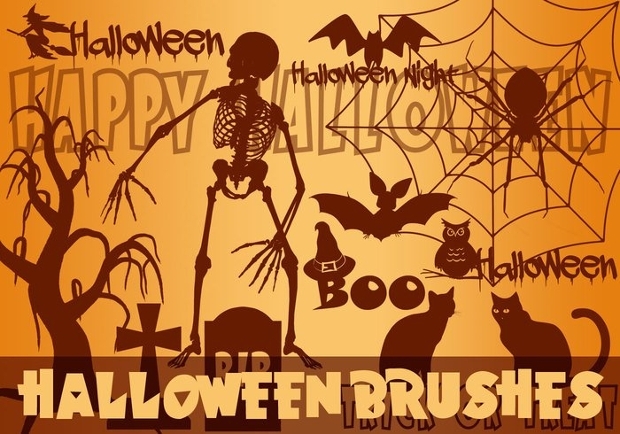 The creepy brushes come in a wide variety of abstracts, each of which can be cleverly used to say more with your design. 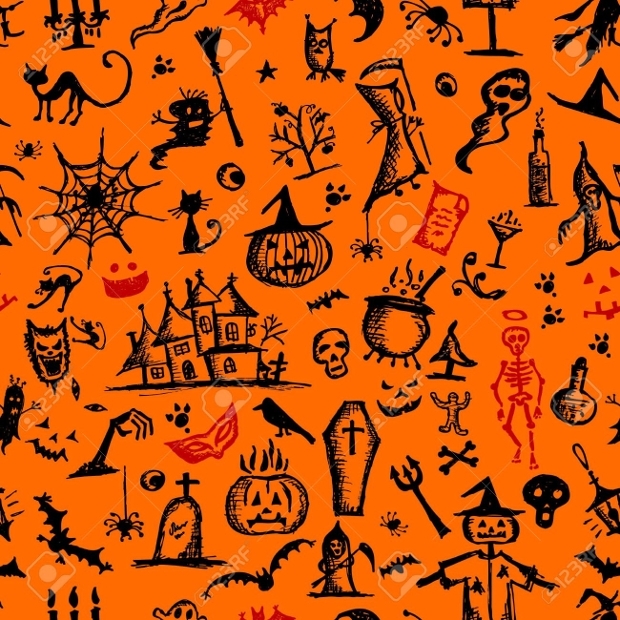 Looking for some spooky icons for the Halloween season? 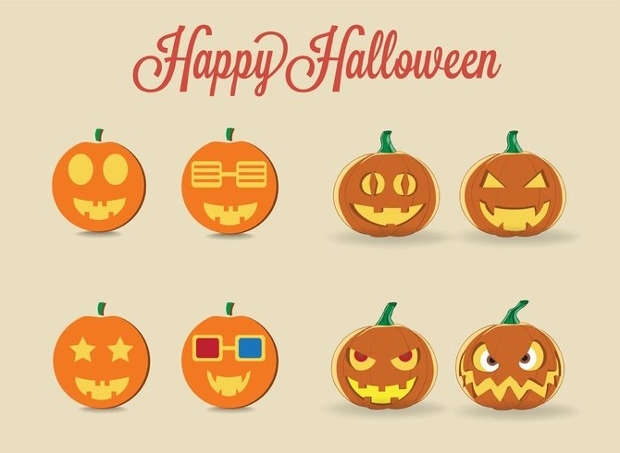 Well, here’s a really unique collection of icons and logos that can be used by any brand to leverage their Halloween sales. Engage the audience in a thrilling affair! For any graphic designer, background promises the perfect start to any successful design work. 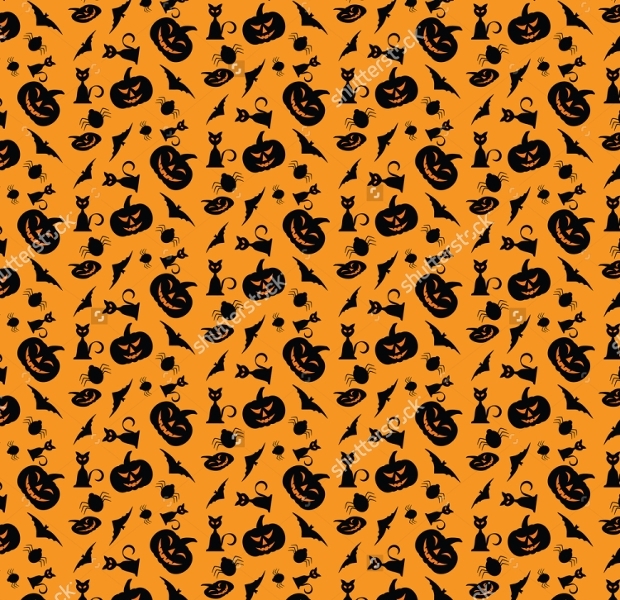 Well, if you have been working on something in the lines of Halloween, here are some really amazing backgrounds that can bear the content in the most representative way. 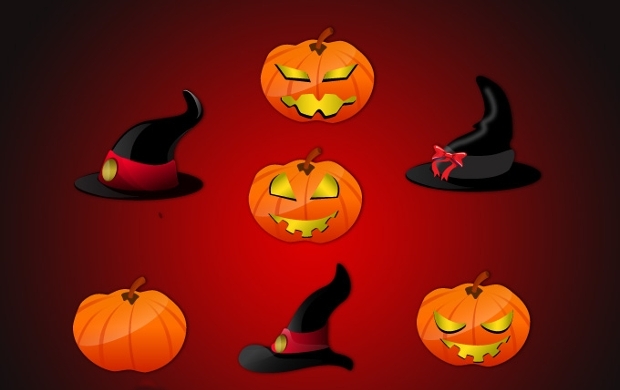 Halloween is always a great time for decorating and organizing something grand for people you adore. Well, if doesn’t need to be a singular effort. 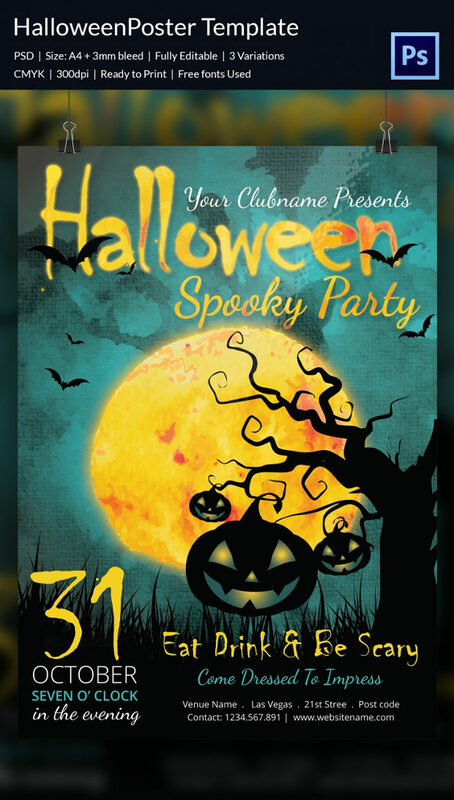 Get your family members and friends together and spruce up your premises to represent one of the most fun events in the year. With our designs, you won’t have to spend too much time of money to come up with a good theme either. 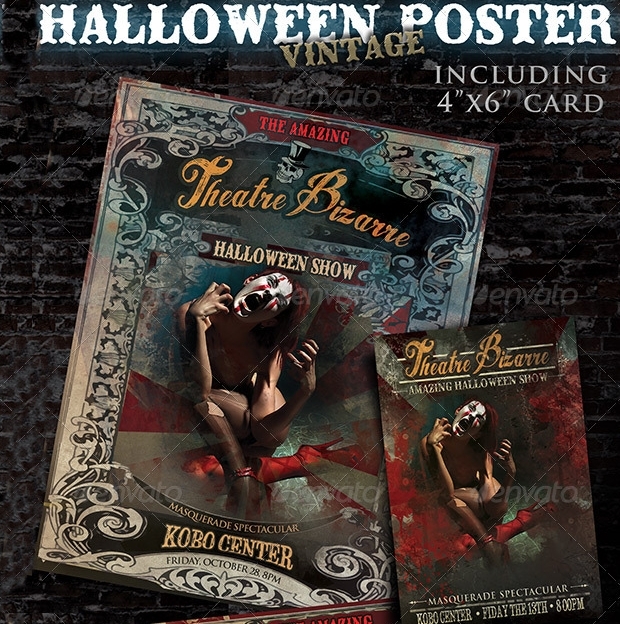 Each of the designs / illustration / icon above carefully caters to the Halloween mood and doesn’t tag a substantial price tag along too. With these, you certainly will be appreciated and also be the envy of the neighborhood!